IATAI's prime focus is FinTech & InsurTech and the discovery of new dimensions in these industries by exploring disruptive prospects. Additionally, in order to provide the best products and services, they continue to create a series of International Strategic Alliances that allow them to deliver visionary business models. "Now users can make purchases online and in stores with a new mobile/digital payment method enabled by Visa Checkout –both iOS and Android. This is the kind of secure and frictionless payment enablers that we're exploring with our clients to take advantage of electronic payment systems, NFC, and QR contactless communication between phones and POS, allowing users and merchants to have an easy and smart transactional relationship," Sergio Arana, CEO of IATAI said. "Mobilizing – Protection" When you're traveling or in your daily life, handy mCard protects you in all your activities ­–anytime, anywhere. 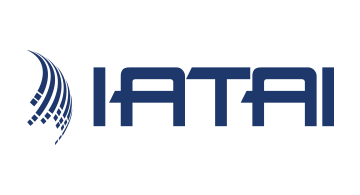 "Uberization of everything" IATAI is also developing a mobile platform that connects users to all sorts of services that meet their day-to-day needs. From home, cars, pets, restaurants, rides, etc.